We offer workshops for local government, community groups and businesses. We help build resilient communities by assisting organizations to utilise or leverage the opportunities in the sharing economy. – A two hour workshop introducing the Sharing Economy and how it can aid Community Development. – A half day workshop on The Sharing Map and how to build community capacity using the sharing game Share Street. – A full day workshop that includes: an introduction to the sharing economy, capacity building plus applications, and technicalities of the Sharing Map. Virtual and face-to-face online sharing and the neuroscience of sharing and community building. We are running four workshops around the city of Sydney at the end of March. 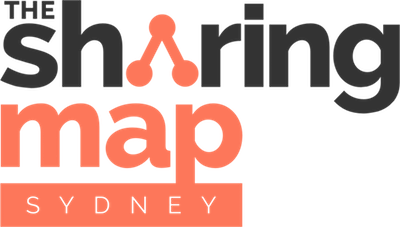 Join us at a workshop to learn about the new Sydney Sharing Map an online resource that helps you find great sharing initiatives like tool libraries and community gardens in your neighbourhood. In the workshop you’ll learn how you can make and save money through the Sharing Economy while meeting your neighbours, building better communities and saving the planet. At each workshop we will take you through how to use the Sharing Map, and play “Share Street”, a game designed to encourage players to rethink their ideas about ownership, while we eat some great food! You’ll leave having met some cool people in your community and with some new ideas on how you can connect with your neighbours, save money and the planet by sharing. for a round of the Share Street Game.